This product includes a pattern to create a dodecahedron. This can be an individual activity or a class/group project. Or you could create this amazing 12 sided shape to decorate your classroom and use it as a reminder of the 8 Standards of Mathematical Practice. There is a blank face included as well. 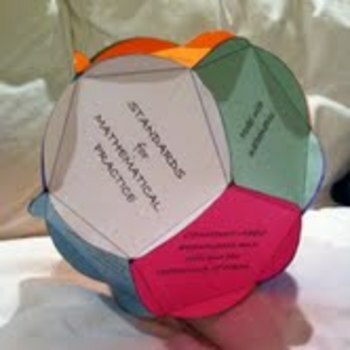 You can create an original dodecahedron to display any topic; types of functions, shapes, representations of numbers, etc. Please provide feedback and let me know how you utilize this product. And as always...have fun with math.